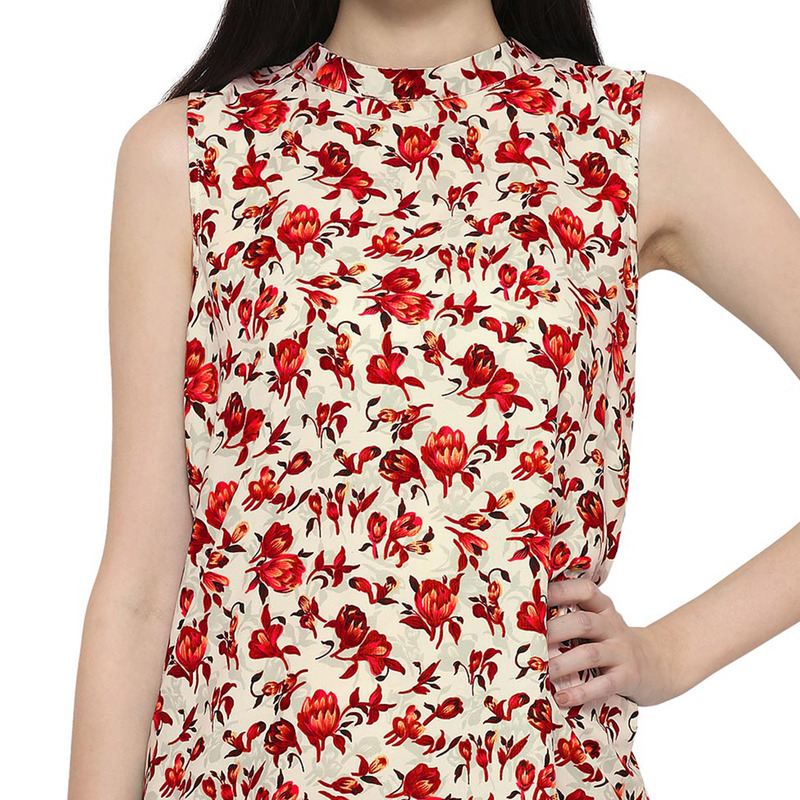 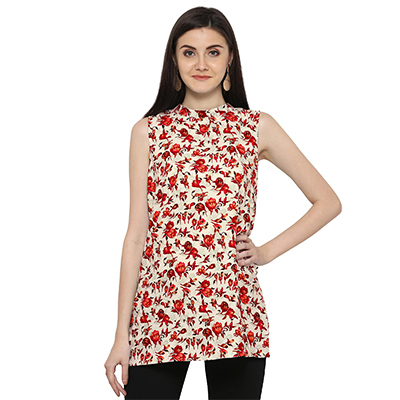 Get in touch with your feminine side wearing red coloured floral printed top. 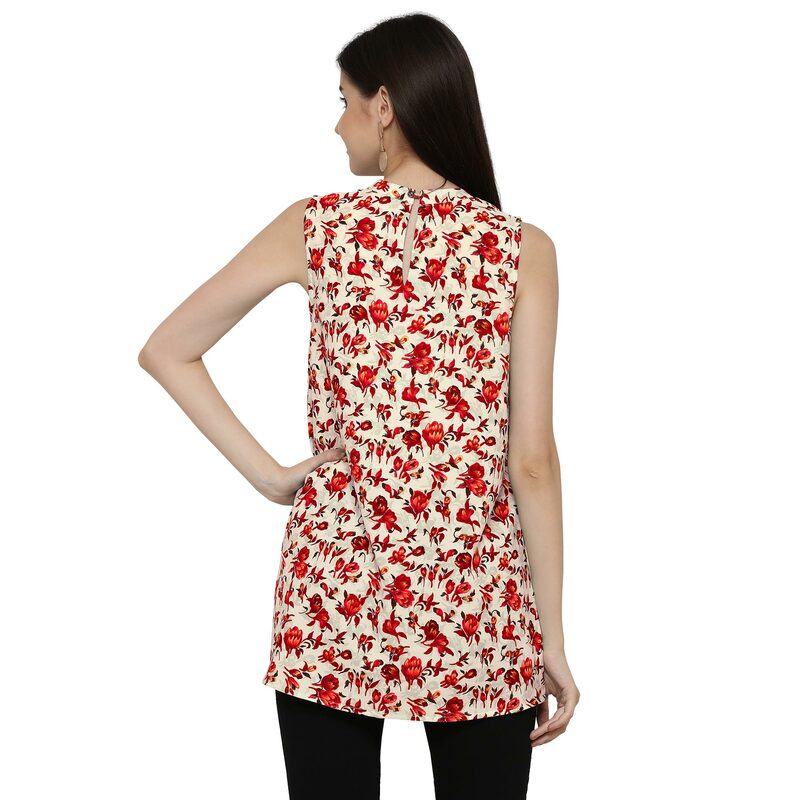 Made from crape this regular fit top will keep you comfortable. This top can be paired with basic blue coloured jeans and sneakers.